Copper Cookware is just so elegant looking that it makes you want to just use it as a decoration for your kitchen instead of actually using it for cooking. 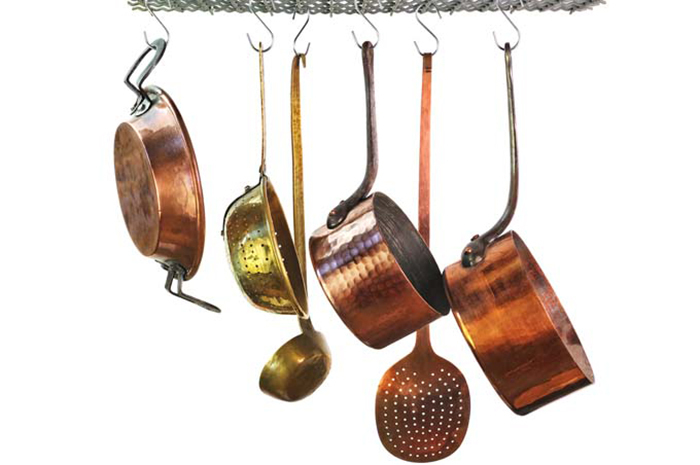 It would make you feel like the food will actually taste better with the use of the fancy looking copper cookware. 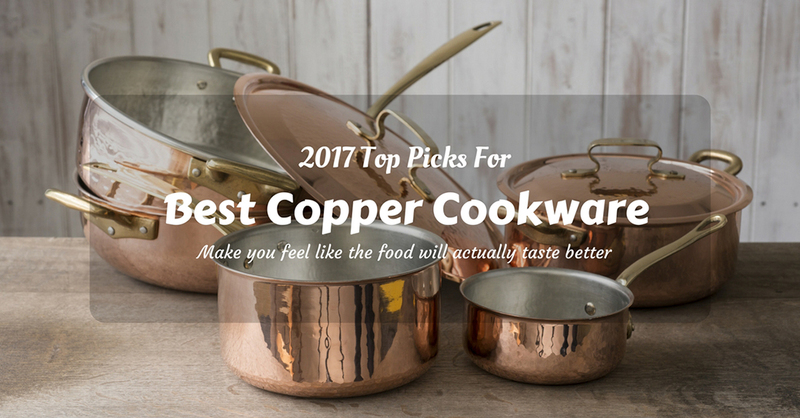 If you haven't got a chance to own one then maybe you need to take a look at the 2017 Top Picks for the Best COPPER Cookware in the market today. You wouldn't want to miss that out. The very first known cooking vessels which were from over 10,000 years ago, were actually made from clay and was originated from China. Although, it was unknown who was the one who invented pots and pans. Years and years later, the people started to use the early types of cookware to roast different kinds of food and to heat water. This is also the time where people discovered metal and they used it for cooking. During the last couple of centuries, it has become such a common thing to use in the kitchen. But during that time there are only TWO utensils available for cooking; A pan and a pot. DID YOU KNOW? 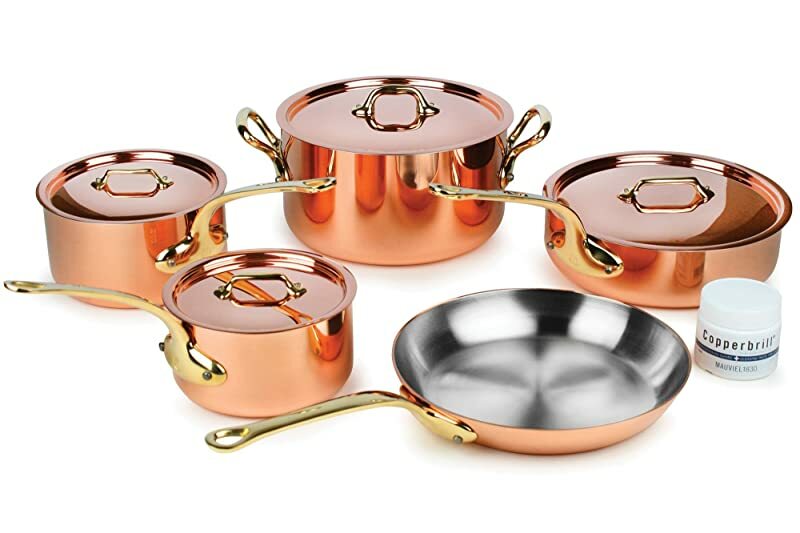 That no other type of cookware (ceramic cookware or metallic cookware) is as good looking as the copper cookware. It looks vintage and very elegant which is perfect for a display in the kitchen. 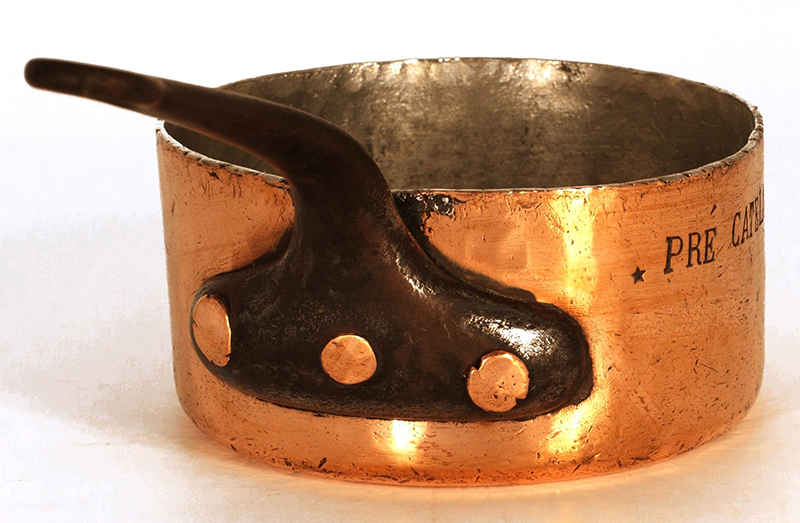 If we are talking about the quality of the copper cookware, then this is one of the best in the market today. Simply because it came from a trusted brand of cookware. Next is the most important thing, the thickness because the thicker the copper cookware is, the higher the quality it has. It also has an amazing 2.5mm pots and pans. 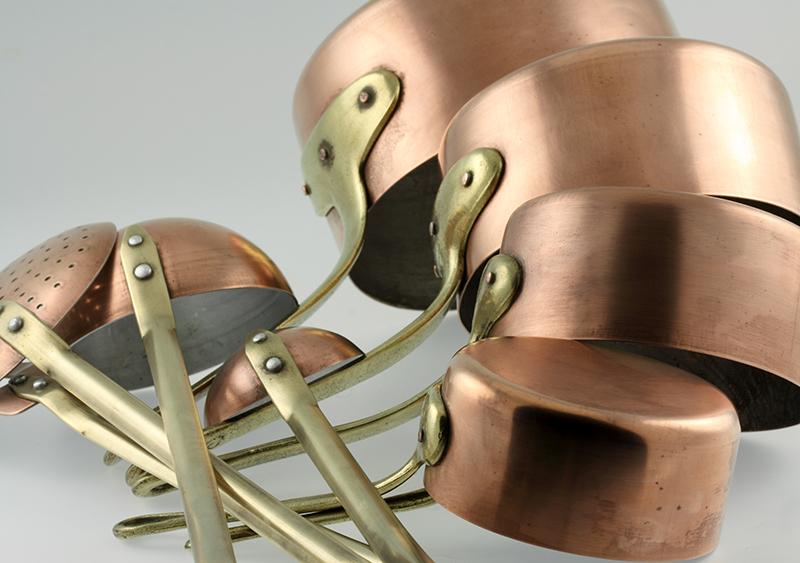 Which is the ideal thickness for copper cookware? Unlike the Mauviel copper cookware, this is a tin-lined cookware which also works wonders. It is also a great investment since it is worth every penny. 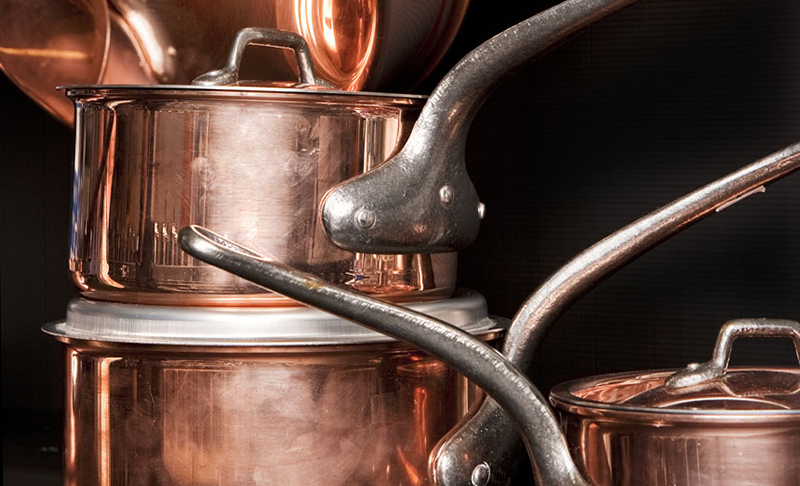 Another trusted the brand when it comes to copper cookware is the Matfer Bourgeat. Just like the Mauviel, it also has a 2.5mm copper construction. It is very sturdy with cast iron handles. 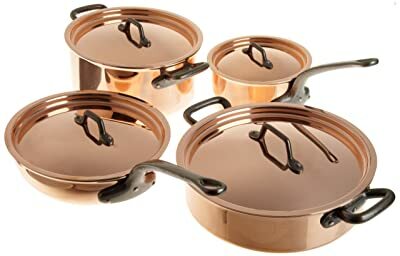 This 8 piece copper cookware all has accompanying lids. The lining is made from 18/10 polish stainless. It also features counterbalanced handles that are made of iron. It is very very expensive so you should really have to think things through before getting one. You have to be very careful because it can easily scratched. 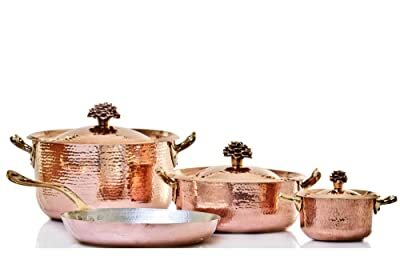 If you are on a tight budget but is still dreaming of owning a copper cookware, why not try this Lagostina copper cookware. It has a copper exterior with a combination of the aluminum core to even up the heating. Just don't expect it to be as good as the ones above. 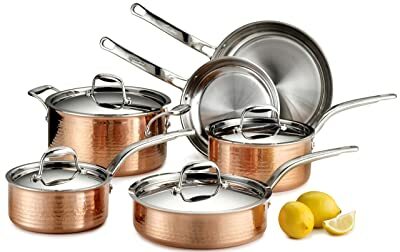 Another affordable copper cookware is the Cuisinart cup that is composed of 11-piece cookware set. Although the brand can be trusted, their copper cookware is not their best but it is still good for home cooking. 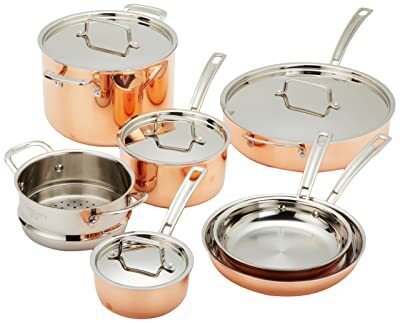 When buying a copper cookware it doesn't have to be based on the price, it just so happens that the products we have reviewed in this article have a low quality with a low price. So the clear winner in this review is the Mauviel M’Heritage M250B.